Anyone want to buy The Beulah? | West Leeds Dispatch | News. Views. Get involved! Anyone want to buy The Beulah? 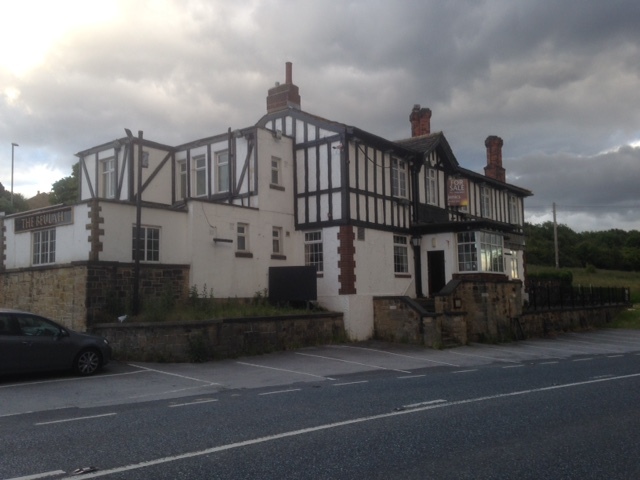 A landmark pub in West Leeds could be yours – if you can stump up the £325,000 asking price. 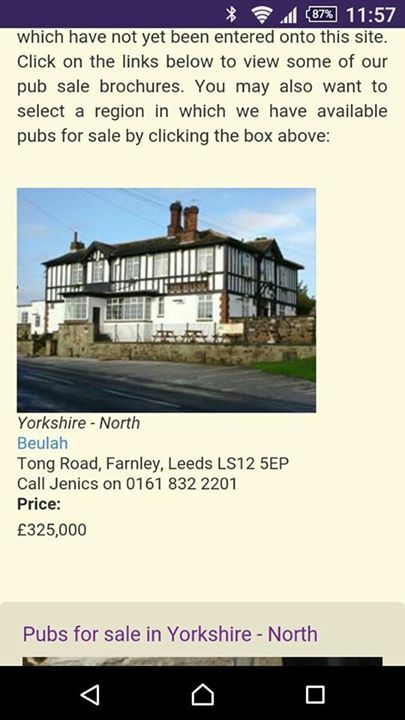 The Beulah Pub, off Tong Road, Farnley, is on the market and is being sold via Manchester-based hotel and urban leisure specialists Jenics. The semi-rural pub, which offers some commanding views over the valley towards Pudsey, has had a number of owners over the past decade. The Beulah’s Facebook page currently says it’s a gastropub and bar/grill. Beulah owners Trust Inns have put the pub up for sale. A spokesperson wasn’t immediately available for comment, but it’s understood the pub is still open for business as usual. It’s listed on a page on the Trust Inns website, alongside other pubs which the firm says ‘no longer meets our operating criteria’. What would you like to see happen to the building? Should it remain as a pub or be turned into something else? Have your say in the comments below! Meranwhile … Pudsey Camera Club‘s members will meet at The Beulah for their second summer outing on Thursday 25th June at 7.30pm. 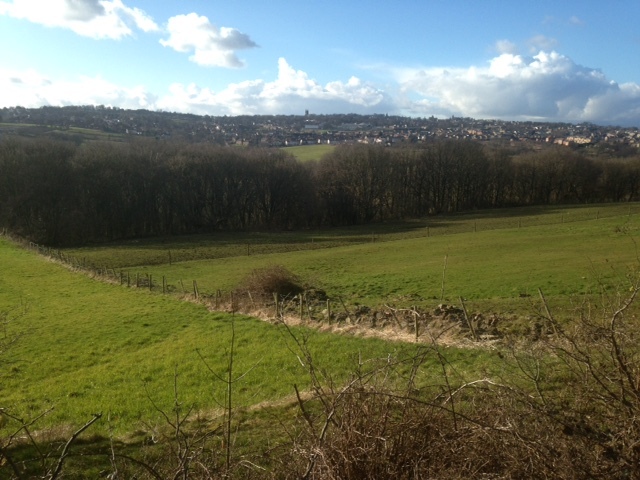 Should the weather be favourable a walk round Farnley is on the agenda. This is also an invitation for any prospective new members to enjoy an evening with more experienced photographers. It’s a shame it doesn’t have more land attached to it. Needs a big beer garden, play area and parking spaces that don’t back out onto Tong Road. Thanks Kat. The speed of traffic as you try to pull onto Tong Road is crazy. The Beulah’s an interesting one. For me, it’s never been the lovely cosy village pub that the Greyhound is further up the road (or The Bankhouse in Fulneck) but is equally too out on a limb to truly be a ‘local’. It’s never really built up a good enough reputation for its food (although what I’ve had there has been nice enough). You need a reason for coming to pubs like this regularly and The Beulah’s never really given me one, even though I only live ten minutes’ walk away. It should be a great pub – it’s got wonderful views over the valley – perhaps a new lease of life will bring fresh ideas? 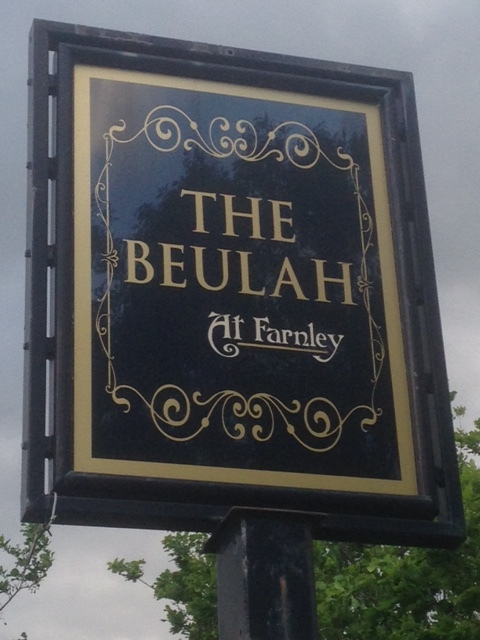 I would love to see the Beulah returned to its former glory, years ago I remember it being packed every night when Clive had it. It’s just a shame no one has ever made anything of it or tidied it up since. I think it’s mock Tudor cladding needs to be taken off and returned to its original stone frontage (original pictures can be seen on Leodis of what it used to look like).